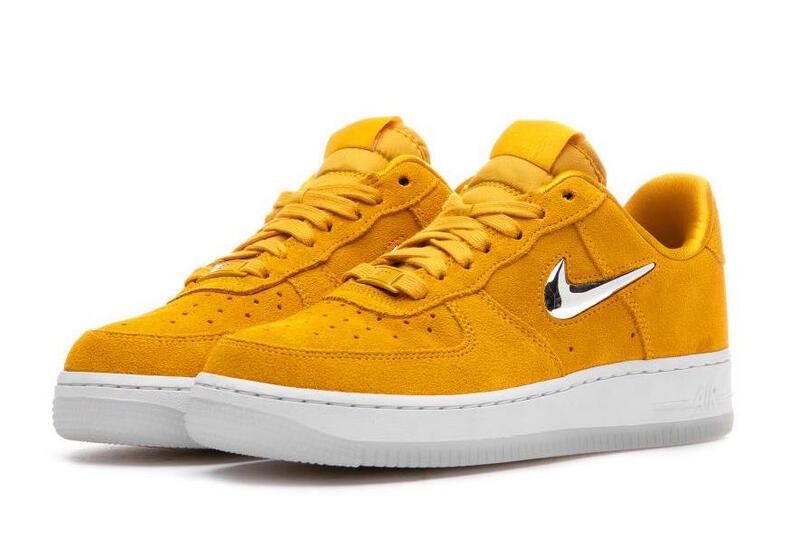 This period, the Nike Air Force 1 Low is receving much love all around the world, so that, we brought you today a look at this upcoming Air Force 1 Jewel. It comes dressed in an eye-catching Yellow Ochre. 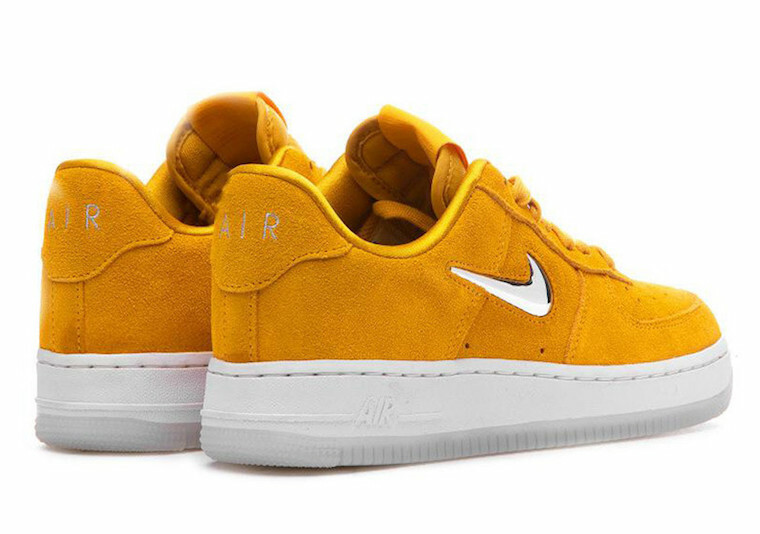 This Nike shoe features a buttery suede upper covered in Yellow. 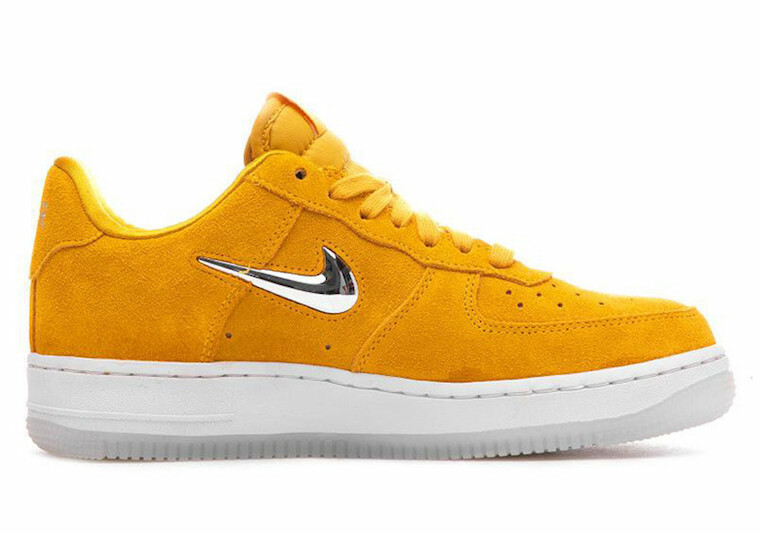 The “Chrome” jewel swoosh logos adorn the lateral sides. A clean white midsole with a translucent outsole tops-off this simple and elegant design. 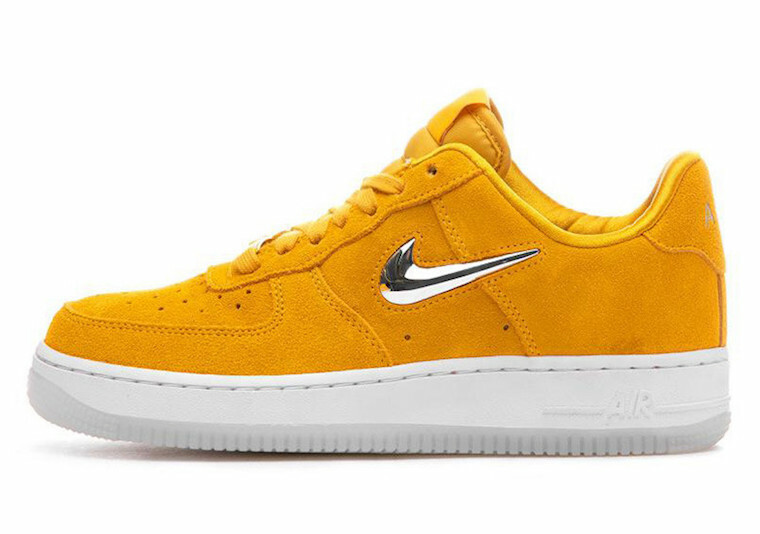 Enjoy this Iconic Nike Air Force 1 Jewel ” Yellow Ochre” now at select many retailers such as BSTN. Peep a look below and don’t forget to grab a pair for yourself.